Whether given or received, this is a present that will be treasured forever! 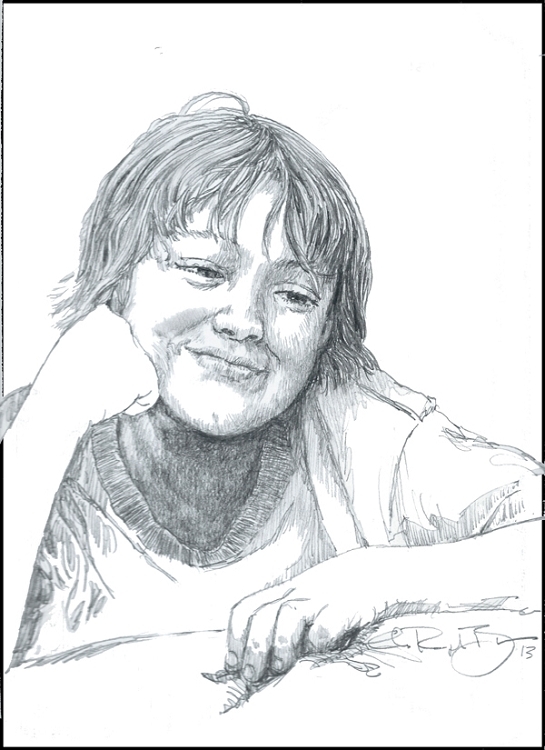 What would a gramma, grampa, mom, or dad like to have more than a hand-drawn sketch of their grandchild? And what would be a more perfect gift for the child or its parents? Charles Randolph Bruce, author and illustrator of the Rebel King series of novels still has time to create a one-of-a-kind sketch for gifting this Christmas! But don't delay! Check Out full details at crbruce.com and see a sample of an amazing transformation, then return to Scotland Rising to complete the purchase. Once purchase is complete, you will be contacted within the next business day (business hours M-F 9-5 EST. ), and arrangements will be made based on the artist's schedule. During the holiday season portraits may take 3-10 days. This original portrait comes to you matted, complete and ready to frame (frame not included). Get your child's priceless portrait drawn today! An absolutely wonderful gift idea.